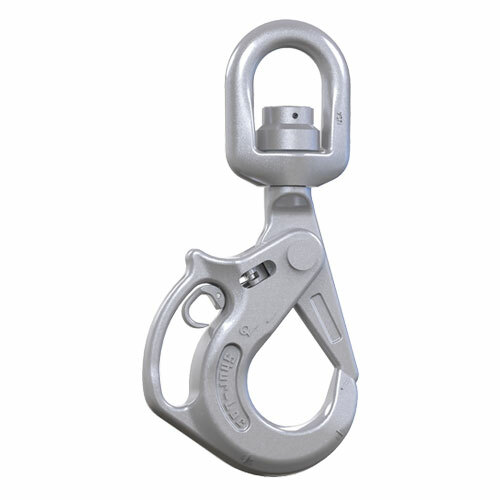 The Shur-Loc Handle Swivel Hook with Bearing gives you better control of your load without compromising the operator’s safety. The new ergonomic handle is roomy enough for use with almost any size gloved hand for complete control over the hook and load. A low friction bearing allows positioning even while under load, and is lubricated with long-lasting lithium-based grease. Made with forged alloy steel, the hook is suitable for use with Grade 100 or Grade 80 chain.